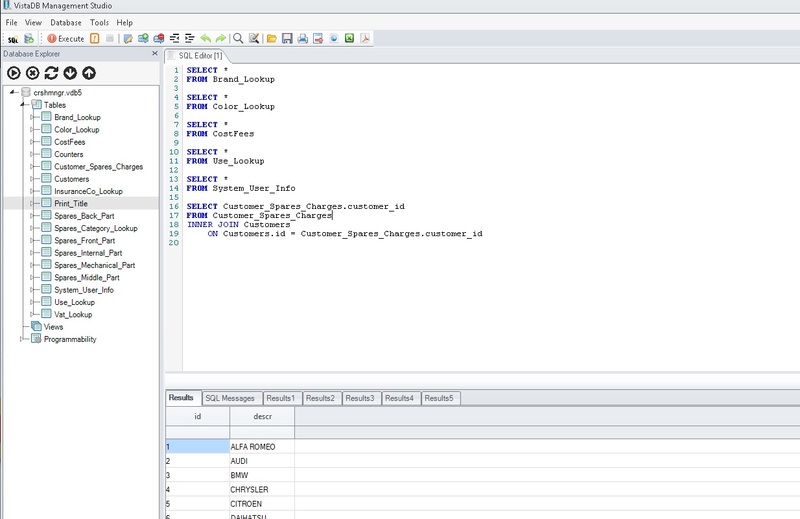 - Use SQLEditor to easily write and execute sql queries. 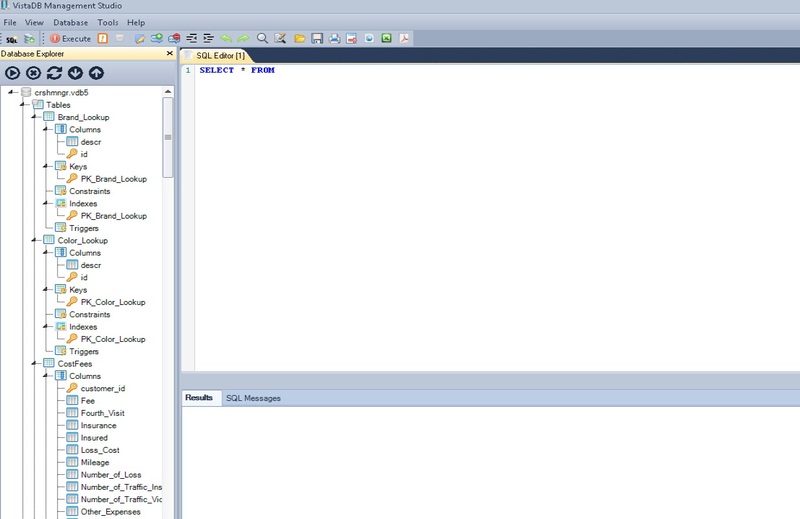 - Syntax highlighting and Auto Complete for easy sql writing. 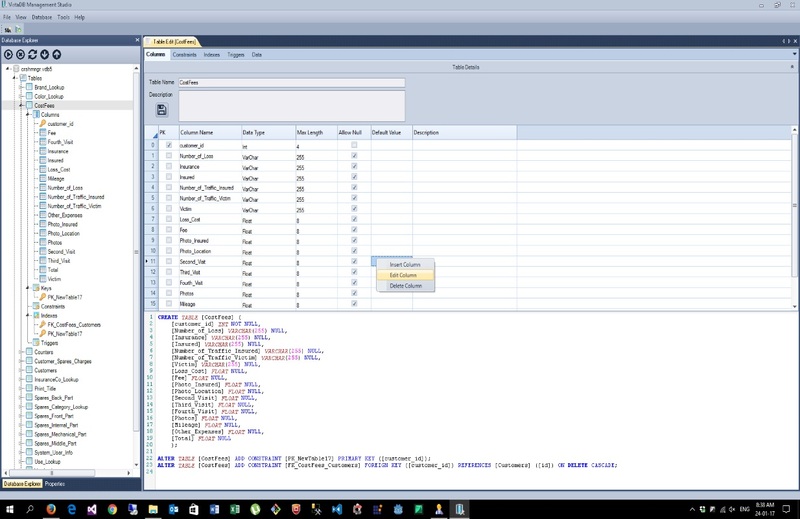 - Export data in xml,excel, pdf formats. 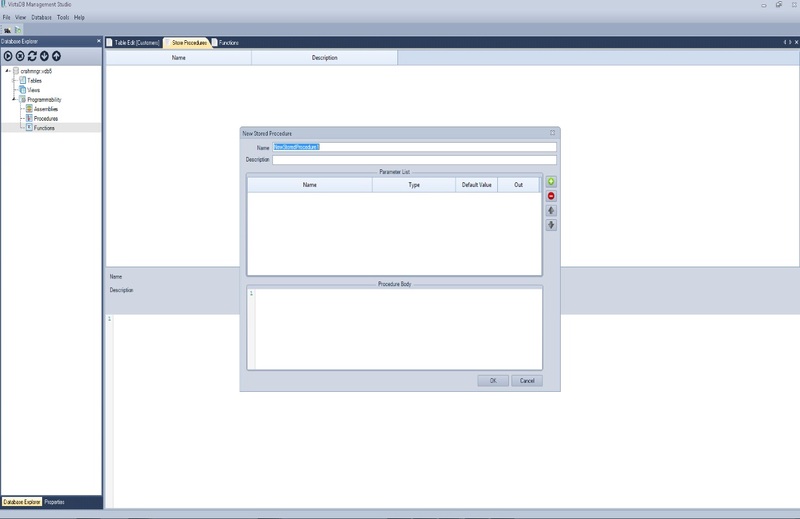 - Can execute multiple sql statements in SQLEditor tab. 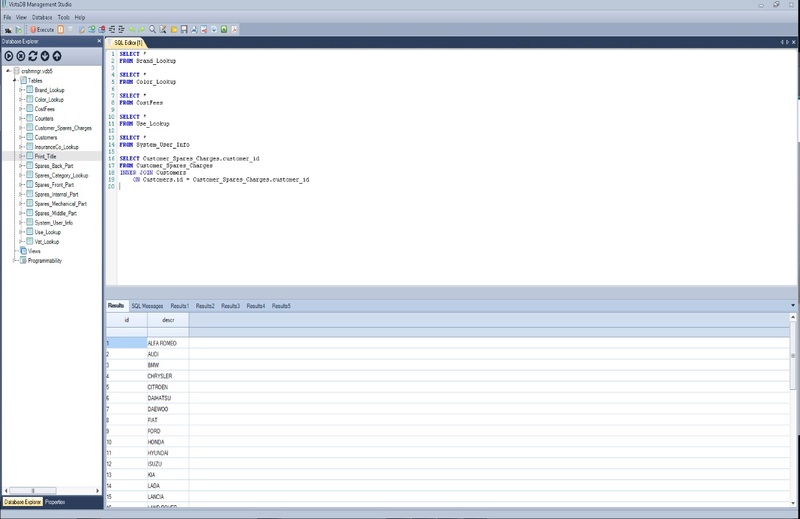 - Save and print the queries. - Manage any VistaDB™ 5 database on your computer. - Pack and Repair databases. - Includes Updater to easily update to latest version. 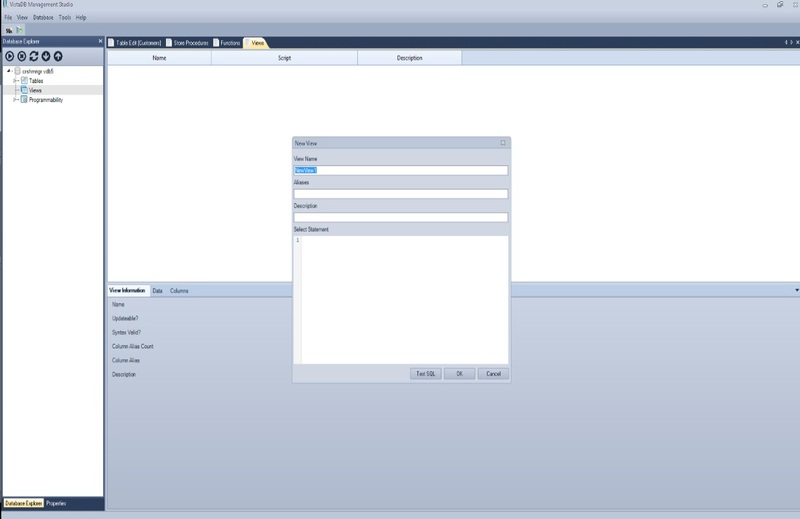 - Multiple windows and docking support. 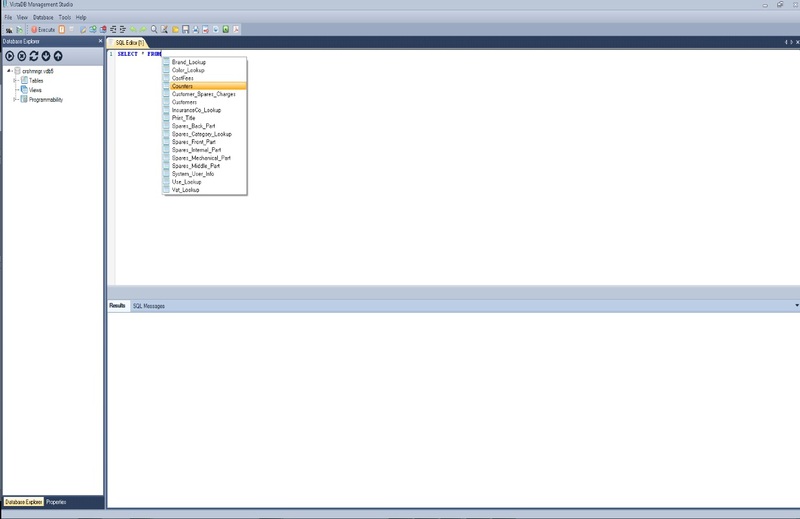 Hierarchical tree showing database objects. Copyright 2017 Angelos Makis. All rights reserved.